I suppose there is always something special upon our ‘first’ experiences. Certainly, the first time I went to Venice I could scarcely believe my eyes. A boat, organized by the travel company, had met me at the airport. In order to deposit its passengers at their various hotels, it speeded over to the city and then sailed slowly down the Grand Canal. Nothing I had seen hitherto had prepared me for this feast of beauty. Indeed, I do not think that, before that moment, I had believed that humankind was capable of producing so perfect a panorama. That was over forty years ago. I have returned to Venice many times since then, but I am still thrilled by the sight of the world’s most enchanting waterway. And I am also thrilled by the prospect of a meal at one of the city’s most pleasing restaurants. 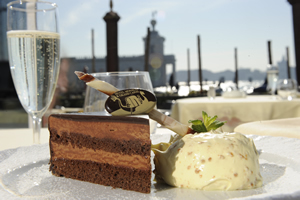 After all, for we lovers of the Grand Canal, where better could there be for dinner than the Grand Canal Restaurant? 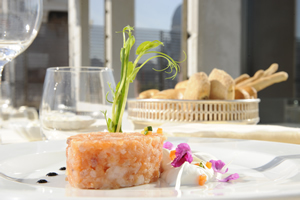 This dining room is within the excellent Hotel Monaco & Grand Canal (see separate article). It is on the ground floor, just a few inches higher than the famous waters (but now – after the hotel’s extensive renovations – protected from their unwelcome ingress). And, of course, it is surrounded by visual splendour. I was greeted, as usual, by the splendid Mr Guido Patruno, the 1st maitre d’. 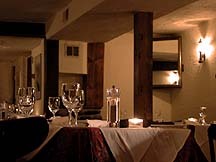 Then I was taken to my table in one of the several small rooms by maitre d’ Domenica Melazzi. Mr Melazzi looked after me throughout the evening, and did so with exemplary charm and efficiency. I settled back into the fauteuil (made comfortable for my ailing back by an extra cushion), surveyed the yellow tablecloth, on which the flame of the single, tapered candle was caught in the crystal of the Schott glassware, admired the soft reflection of the overhead spotlights on the silk-covered walls, and a smile settled upon my face. Before me, through the window, was the glory of this part of Venice, the church of Santa Maria della Salute – the swirling, triumphant masterpiece of Longhena, white against the darkening sky. Truly, there is nowhere like Venice. 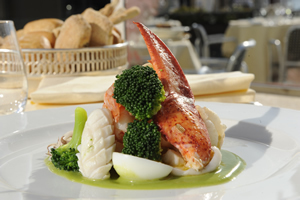 With its gentle formality, good cooking and remarkable location, it is no surprise that the Grand Canal Restaurant is very popular. You should therefore book in advance. Its waiters, in black tie, work hard to keep the diners happy. Certainly, I found the service entirely to my liking. The waiters always seem proud of the food they bring from the kitchen. 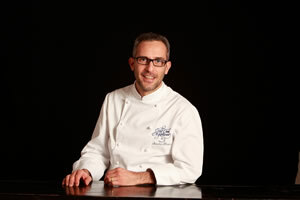 And they should be, for Chef Sandro Traini offers a most attractive menu. 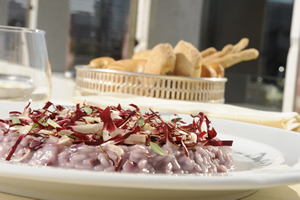 This is a place for those – and I am among their number – who like straightforward Italian dishes cooked with real skill. The wine list has 124 offerings. It has some tempting bottles. Most of the them are, of course, Italian, but there is a sprinkling of temptations from France and elsewhere. 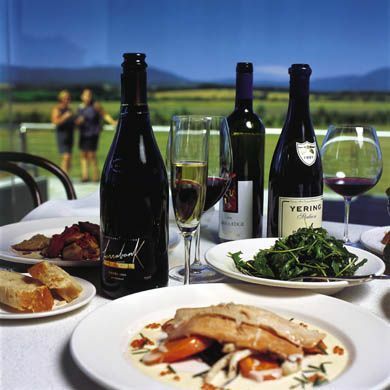 Prices run from 31€ for a cabernet sauvignon from the Friuli to 470€ for 2004 Mouton Rothschild. There are some lovely super Tuscans: 2008 Ornellaia is 202€, 2005 Tignanello is 167€ and 2002 Solaia is 302€. Champagnes include 2004 Cristal (246€) and Krug Grande Cuvée (291€). From the Lebanon there is 1997 Chateau Musar (107€). Those with a sweet tooth will be pleased to find 1997 Yquem (267€, half) and a 2004 Riesling Auslese from Germany (Clemens Busch - 127€, half). 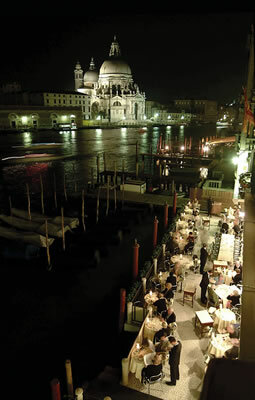 After dinner at the Grand Canal Restaurant, I always like to walk the few yards to St Mark’s Square and look about me. The floodlit façade of St Mark’s Basilica shimmers in its miraculous beauty. And I think again the thought which came to me more than forty years before on my ‘special’ first visit: truly, earth hath nowhere to show more fair than the city of Venice. 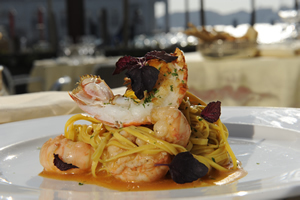 Hotel Monaco & Grand Canal, calle Vallaresso 1332, San Marco, Venice 30124, Italy.